"An Extensive List of DIY Plans"
Build your own project blueprints and "do it yourself plans" are quite popular among motivated homeowners and savvy woodworkers. With so many creative DIY'ers on the lookout for valuable info to build their own house, do it yourself workbench, make a backyard garden shed, do it yourself garage or simply learn how to draw the plans needed to get their do it yourself project off the ground, we hope you find the info helpful. The following is a list of do it yourself plans and resources to help you create your own DIY plans. Please be sure that you check with your appropriate local building code department to be sure that you are allowed to undertake your project on your property. You may need to meet certain strict guidelines and rules pertaining to your plans and obtain proper authorization and building permits before preceding with any do it yourself projects. And as always... dial before you dig! 8X12 Shed Plans - Your one-stop guide to everything you ever wanted to know about how to plan a perfect 8'X12' storage solution. Do It Yourself Plans - All inclusive DIY resource covering just about every type of plan you will need for all your projects. Free Boat Plans - Should you use free boat plans to build your vessel? Check out these boat blueprints and decide for yourself. Free Shed Blueprints - Free shed blueprints, how to instructions and materials lists. DIY House Plans - For anybody who is looking to building their own house, cottage or garage, but doesn't want to spend a lot of money for plans and blueprints. Tiny House Floor Plans - Various downloadable tiny house floor plans, ranging in size from moveable extremely small homes to relatively small permanent houses. Free Do It Yourself Cabin Blueprints - A very popular resource for those looking to make their own cabin. Includes links to free cabin blueprints found across the web. Plan some vacation time to build your own cabin in the woods. Floating Dock Plans - Blueprints to build a floating dock on a limited budget. Garden Shed Building Plans - Do it yourself garden shed building plans for the perfect backyard design. DIY Blueprint Symbol Reading - Learn how to read floor plans and building blueprints easier by understanding what various blue print symbols mean. Architectural, electrical and plumbing symbols are explained on printable sheets. 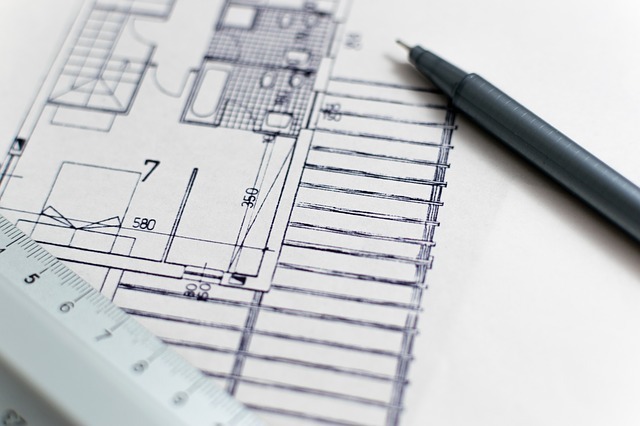 When studying your plans and elevation drawings, in conjunction with the blueprint symbol pages, you'll have a better understanding of what you are reading. Free Pole Barn Plans - Free pole barn blueprints and pole shed plans. Can free plans be used for building a pole barn? If you need help customizing any of your do it yourself blue prints, plans or drawings please contact us for more information regarding our professional CAD services. 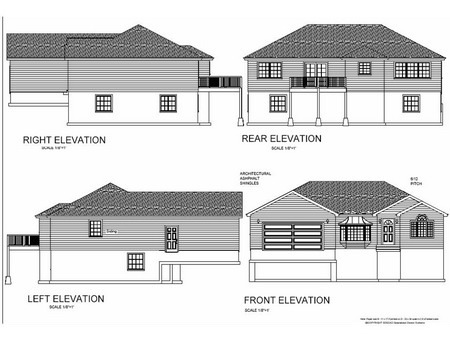 Providing exceptional CAD drafting services to architects and engineers is what we do! Free Picnic Table Plans - Enjoy these free resources that include kids picnic tables, commercial picnic table plans, round picnic table plans and many more. Usually included are construction instructions and the list of materials you need to put together a picnic table frame. Free Trailer Plans - Several useful links to free trailer blueprints, illustrations, bill of materials and more. Free Garage Plans - An assortment of garage plans to help you build your own garage. A garage adds so much value to a property and gives you more space to undertake additional DIY projects. Free Greenhouse Plans - Download free greenhouse construction plans to get started on your new project. Free Pergola Plans - A selection of free pergola and trellis blueprints to help you build your backyard pergola or trellis project. Small Cabin Plans - Very small house plans that can be used to build a remote vacation cottage. Free DIY Shed Plans - Looking to build a backyard shed? Why not use the money you save on buying garden shed plans to put towards purchasing the shed building materials and tools instead. Over 27 links to free shed blueprints are included with the option to pick up 12,000 shed plans at a very good price. Look for storage shed kits as well. How to Build a Chicken Coop - A good package for those interested in building a chicken coop. Complete with step-by-step instructions, bill of materials, tools needed, coup maintenance and general info about caring for chickens. Free House Plans - Download these free house plans for the do it yourself builder, and learn about the pros and cons of using free home blueprints. Look through these home plans to give you an idea of what direction you would like to take when building your own home. Steel Building Homes - Steel building homes are cheaper, stronger and more versatile than conventional built homes. New Houses Blueprints - New houses blueprints of floor plans, elevations, sections and details to build your new home. Playhouse Floor Plans - Various kids playhouse blueprints for novice to experienced DIY'ers. Pool House Floor Plans - Beautiful pool house floor plans designed to compliment your property and budget. Simple Dog House Plans - Insulated dog house plans that are easy to build and accommodate all budgets. Small House Floor Plans - Using small home plans to build a house that meets your living space wants and needs. Tiki Bar Plans - Build a tiki bar using these easy to follow step-by-step tiki bar do it yourself plans. Outdoor Kitchen Plans - Thinking of building an outdoor kitchen? Here's where to look for outdoor kitchen designs. Draw Your Own House Plans - If you are among the thousands of DIY'ers that want to learn how to draw your own house plans (DIY home plans), or do it yourself garage blueprints, then you need to check out the CAD drafting software recommended here. Some are free CAD drawing programs, while others have trial and paid versions. You could save thousands of dollars by creating your own drawings for do it yourself projects. Choose from a large assortment of free CAD programs to use to create do it yourself plans for your DIY project. A great resource for free do it yourself plans. Boat Design Software - Design and build your own sailboat, yacht, ship, or water vessel, using this very reasonably priced 3D boat building software. DIY CAD Schools - Several CAD school learning resources for DIY'ers wanting to study CAD. Some are online school resources, while others are offline. Floor Plan Software - Create do it yourself plans and blueprints of your home, office, deck, landscape, and more, using these floor plan software programs. Simple CAD Program - Reviews of drawing software to help you find the best simple CAD program for your do it yourself plans. Free CAD Operator Tools - All things free CAD! A big list of useful do-it-yourself resources, aimed especially at the CAD power user. Download the AutoCAD trial program, get free 2D and 3D CADD packages, download free AutoCAD blocks and drafting symbols, hatch patterns, lisp routines, linetypes and more. So there you have it. Our (ever growing) list of do it yourself plans and resources to help you get your DIY project off the ground.